“A Global Organization of Volunteers Dedicated to Changing the World One Child and One Community at a Time” The Kiwanis Club of Issaquah is a non-profit service organization. 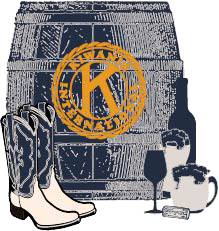 Non-Profit: *Auction items and cash donations are tax deductible donations to the Kiwanis Club of Issaquah Foundation, our non-profit 501(c)3 organization. Federal tax ID is #94-3135093.